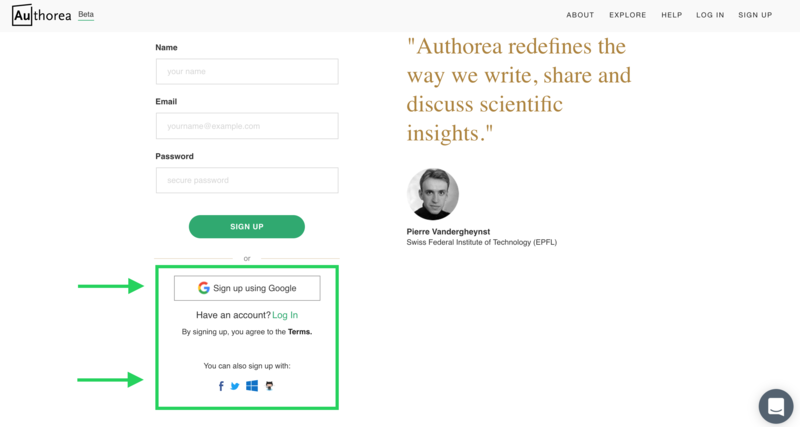 Creating an account on Authorea is a simple and free process. The fastest way to create an account is to sign up on our homepage. Enter your name, email, and a password and you will create a brand new account. If you&apos;d like to sign up using your Google, Facebook, Microsoft 365, Twitter, or Github account, click SIGN UP on the top right.